Tucked away in the mountains on Western North Carolina is this small town with a unique charm. This historic city offers a hometown experience where your family can watch local craftsmen demonstrate and age-old technique. A small town located deep in Western North Carolina offering a charming small town experience for all visitors. Located between Asheville and Hendersonville, Fletcher is a place where you can enjoy the thrills of the city within a short drive while still feeling like you are tucked away in a quiet mountain hide-away. The area around Hot Springs is full of opportunities to get outdoors and have a blast. Sylva is the closest city to Western Carolina University; and is another great location for exploring the great outdoors. A city with something for everyone! Whether you enjoy art and music, the outdoors, eating and shopping local, or all of the above. Marked by charming rural character and the scenic beauty of the Blue Ridge Mountains, Mars HIll is a great stop and play location in Western North Carolina. 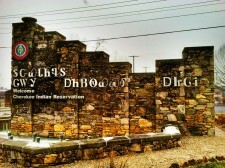 A city filled with a rich history and lasting culture of the Cherokee Indians. This city has much to offer from outdoor activities, cultural arts and crafts, to family entertainment. This popular stop in Western North Carolina is sure not to disappoint. Known as “The Crown of the Blue Ridge”, Blowing Rock is a special place to many visitors and residents alike. Located in the heart of the Blue Ridge Mountains atop a plateau, Cashiers is a great spot for the whole family to visit and experience the beauty of Western North Carolina.